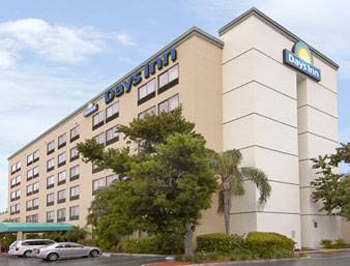 The hotel is clean, the rooms are spacious, and the staff is most courteous and helpful. We always stay here when we need parking and are flying out of FLL airport. The hotel was priced reasonably, and the accommodations standard. The room was poorly lighted, but clean and beds comfortable.The parking program is very good and affordable. The shuttle service to cruise port is okay, although it is crowded and stops at several ships. The return is unreliable. We waited for 1 hour and the shuttle never came. When we called again, they said they called us but we didn't answer. We had our cell phones on us the entire time and we did not get called. We finally took a taxi back to hotel to pick up our car. When we complained about not being picked up, we received no satisfaction. They refused to refund us the return portion of the fee. They refused. We suggest you do not use them, but if you must pay only for one way, not the round trip. Clean, spacious room. Shuttle service to airport and long term parking were easy and convenient.